Fold, or call — never look back — calculate risk, try to avert defeat but, keep your seat at the table and make your next hand work for you. Anthemos “Anth” Georgiades is the CEO of Zumper (≈$220M valuation), the leading home rental app making renting your next home as easy as booking a hotel. Since 2012, Anth has grown Zumper to more than 100 employees and raised $90 million in venture capital for the company garnering backing from leading investors (Axel Springer, Stereo Capital, Blackstone, Kleiner Perkins, and more). Prior to his work at Zumper, Anth worked at the Boston Consulting Group in London and NYC and was an Economic Advisor on the 2010 British election. Anth has a First Class BA from Oxford University, an MPhil from the University of Cambridge, and an MBA with Distinction from Harvard Business School. Despite his many position, he never fails to miss a morning shift with his toddler. Anth often rises at 5:30 a.m. to ensure he gets three solid hours with his little one every single day. Then he’s off to Silicon Valley to get back to it. For Anthemos, it’s not just about the massive success of his company…his family life and role as a father/husband is paramount and that is what drives HIS motivation. I got into the apartment rental industry after moving seven times in my 20’s and having a miserable experience each time. During college, I even camped overnight in the rain outside a property management office to be one of the first to access the new inventory (otherwise, it was tough luck)! 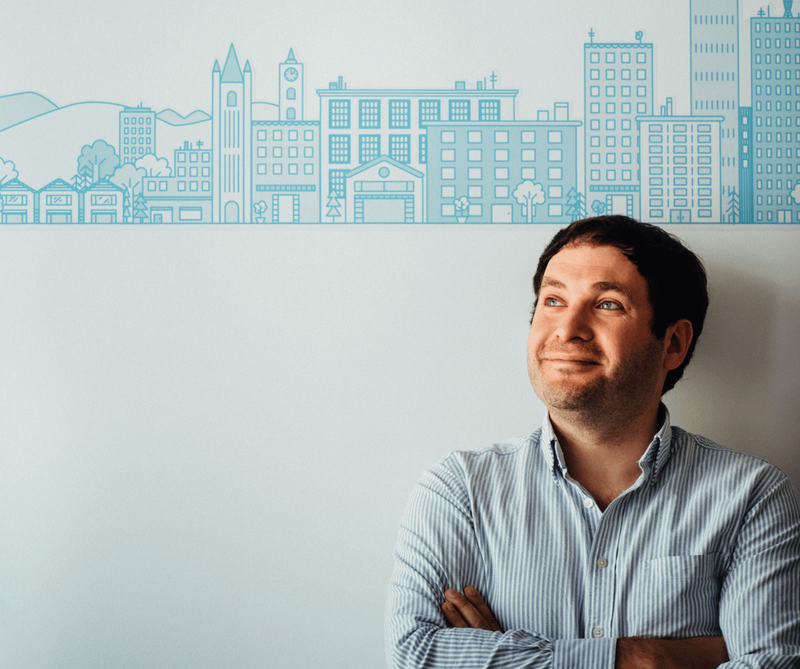 In an age of other services becoming on-demand, I felt like there had to be a better way for renting — and that’s when Zumper was born. We announced the launch of our Chicago market during a live local broadcast event with Mayor Rahm Emanuel. As I stepped back from speaking at the podium, I accidentally knocked into a large American flag hoisted on a pole which stood right behind me, and almost knocked it over on live TV. It wobbled awkwardly for several minutes as the press conference came to a close. Not a good look for a Brit! Building enough traction to raise Zumper’s Series A in 2014 was challenging, as most founders would likely agree — the first round is the most difficult. As a marketplace business, you have to solve the chicken and egg problem which is very hard to do: how do you build a consumer audience when you have no landlords posting listings, conversely how do you attract landlords when you have no consumers using the app? We hacked it by attracting landlords to come on board while leveraging partnerships with (at the time) larger consumer companies to drive leads to those landlords. If someone let me do it all over again knowing what I know now, I’m still not sure if I could speed up the process — the barrier to entry is that big. But we solved it, and now we have several million of our own renter users each month we no longer need those partnerships to fulfill the demand side. I treat my team as peers. I learn as much from them as they learn from me. In fact, I likely learn more from them as they are all far better at their individual jobs than I would ever be. My job over time is to keep our strategy aligned, hire and retain the best people, and empower our managers to be brilliant in their roles. Leadership from the front is critical. If, for example, you value hard work from your team, you have to exhibit it yourself. If my sleeves are rolled up, it is far easier to expect others to do the same. If I’m not a visible presence, engaged in the action, working by their side, they won’t see, hear, or feel the leadership in the same way as a voice that simply comes from a distance. I am very grateful to my professors at graduate school who taught me how to conquer risk aversion. For anyone who plays poker (which essentially, anyone in our business can say they play a modified form of it) you’ll know that one of the riskiest hands is pocket Jacks. It’s a good hand, it seems safe, a 20 value, a pair, a nice rank — but the minute a Queen hits the table, you’re finished. When you have pocket Jacks or face a crossroads, you have to make a call and go with it. Fold, or call — never look back — calculate risk, try to avert defeat but, keep your seat at the table and make your next hand work for you. I went to Harvard Business School at a time where they were starting to heavily promote entrepreneurship as an alternative to the classic HBS career on Wall Street. HBS was very good at driving home the theme of “Day Minus 1” — letting you know that even if you started a company and it failed, it was all part of the game and that failure wasn’t a failure; it was an amazing education. The next step is to use the key learnings to calculate future risk and meticulously strategize to achieve the most ambitious results next time around. Having been brought up in the much more conservative UK where failure is something to be avoided at all costs, this was a very alien attitude, but it is one that is essential to any successful startup ecosystem like Silicon Valley. I would never have started Zumper without that nudge. It is incredibly difficult, but it’s reassuring to know that many women and men have succeeded before me. I’m traditionally a perfectionist, and I used to strive for perfection over progress. In my previous career at BCG I worked 20 hour days for months at a time. I was brought up in an environment that valued work ethic over and above everything else. 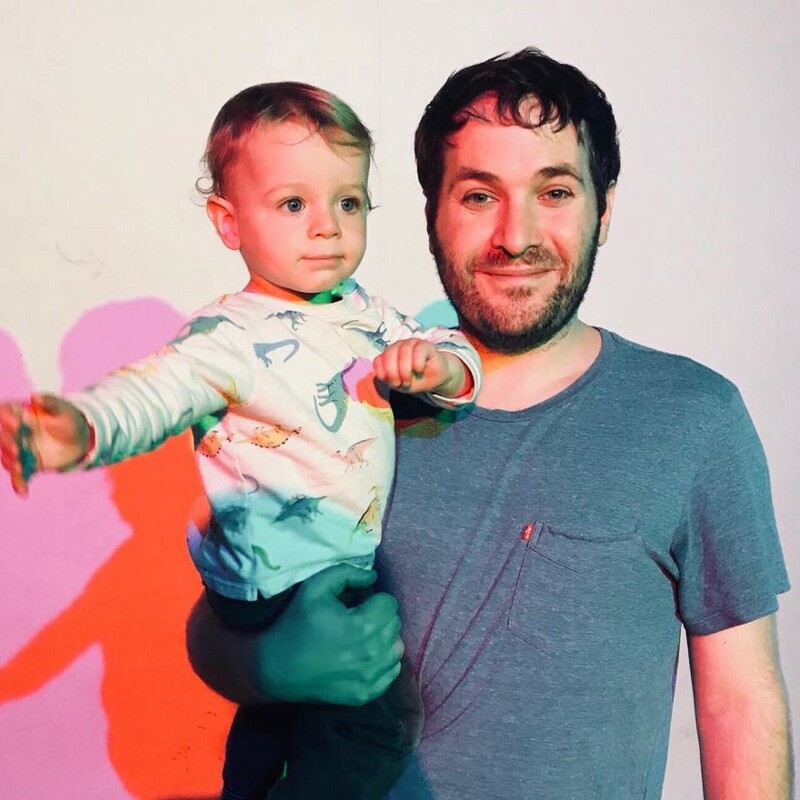 Having got married 2 years into Zumper, and then becoming a father 5 years into Zumper, I’ve started to learn to value progress over perfection! The extra time required for perfection is a luxury I don’t have today, and I’ve come to learn that can become a wasteful endeavor for some individuals. The effort expended on that final 1% to get to perfection was likely disproportionately grueling and a poor bang for your buck. Spending that time with family or friends is a far better use of time. You may not be able to “have it all,” but you can certainly “have a lot!” Set realistic goals, and set “reach for the stars” goals — working to achieve both, in a timeframe and style that optimizes your skills and ability to balance work/personal. As a CEO, at scale, the 80–20 rule that 20% of your time will yield 80% of the results may be more like 95–5: 5% of your time will yield 95% of the output. Make sure you’re rested and thinking strategically. Read, think, pause, write. Keep a notepad or an app of some sort to write down ideas — they can come up anywhere any time and the last thing you ever want to do is lose a great one. Sometimes, in the middle of the night, you’ll need that notepad, and wake up the next day with an idea to start the day — those are the best days! Set very clear boundaries. Block time in your calendar that is sacrosanct for family or for wellness of some kind, be it the gym, meditation, or hiking — mental wellness and health is key to ongoing success and this breeds innovation of the most impactful kind. Talk through your issues of balance with peers. It feels so much better to discuss them with a community who may be experiencing the same. Do something you love. This grays out the boundary between work and personal life. If you love your job, spending extra time on it doesn’t feel as bad as it does if you hate it. Watching the Zumper team grow into amazing entrepreneurs and leaders. A majority of the people we hired in the early days are still here and have grown into leadership roles with a lot of responsibility. I am incredibly proud that Zumper was the place where they took enormous strides forward in their career. I’d love to encourage more people to take the plunge into entrepreneurship. It is the great leveler. No matter what your background, you are judged by your results. Whereas there are definitely in-built biases (e.g. it’s still easier to raise money as a man), I am optimistic that these are being eliminated over time in favor of raw, unbridled talent.